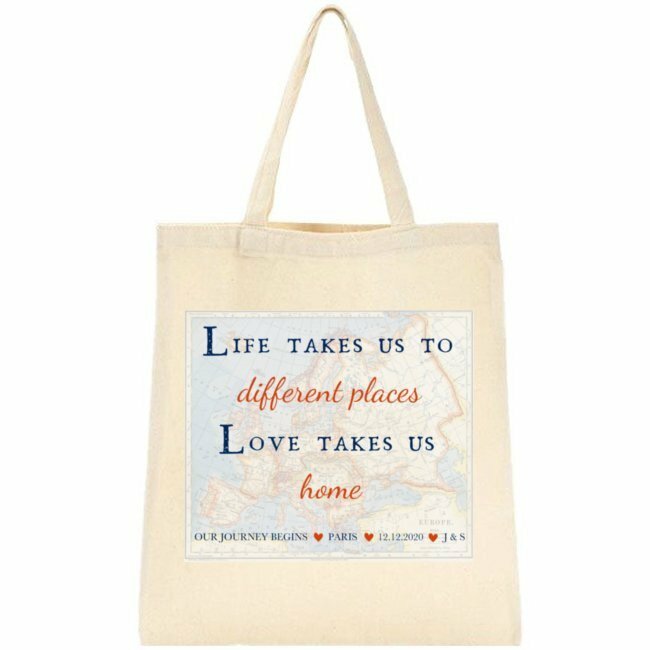 With a beautiful quote, the Life Love Travel design makes for a meaningful gift to any receiver! Personalise with your own message below this quote and create a gift suitable for any occasion! Perfect for weddings, anniversaries, holidays, family, friends and more. Should you know an explorer at heart, this may be the gift you're looking for! Your items will be personalised with text exactly as you present to us. Items personalised as per order cannot be returned. Carefully double check spelling. Lead time: please allow at least 1 week for personalisation.